a staňte sa našim fanúšikom! 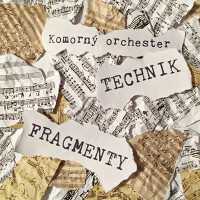 The TECHNIK Chamber Orchestra was established in 1965 as an independent group of the TECHNIK Ensemble of the Slovak University of Technology. Two excellent and enthusiastic musicians and organizers Jindřich Drmola and Zdenĕk Somora stood at its birth and gradually led the amateur body towards a professional level. The artistic growth continued under the artistic leadership of prof. Ján Pragant (1986 – 1996). He was followed by the talented conductor and composer Mirko Krajči who is working with the orchestra up to the present time. Since 2007, the member of the Moyzes Quartet František Török has been active in the Orchestra as music pedagogue and concert master. 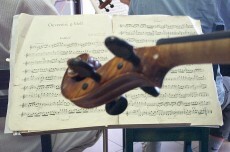 Several generations of young professional and amateur musicians have already joined the orchestra. Currently, the orchestra has about 25 active players and it regularly collaborates with emerging young soloists and several choirs. 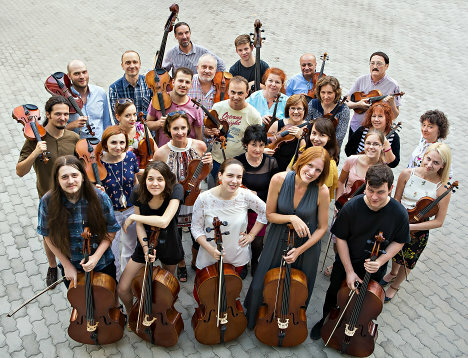 The TECHNIK Chamber Orchestra invites its audiences to concerts and other cultural events in Slovakia and abroad several times a year. It succeeded in gaining a good reputation and found its place at international events and festivals, e.g. in Austria, England, France, Germany, Italy and Portugal. The repertoire of TECHNIK is rich and varied in character, presenting music of various music styles and time periods. TECHINK is known for performance of the works of established and well-known composers, featuring works of prominent Slovak composers, but at the same time offers space for the presentation of less-known and/or young, beginning artists. 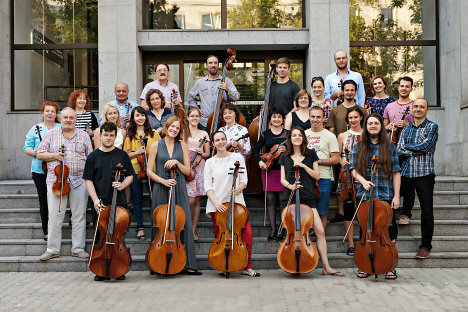 TECHNIK chamber orchestra presents itself at numerous concerts during the art season in Slovakia, as well as abroad: on music festivals, concerts on special occasions, presenting chamber music at self-organized concerts, and performing for the Slovak University of Technology, as well as for sponsors, and/or other companies and organizations interested. The concert program composes of the current repertoire of the orchestra. The usual performance of TECHNIK is a concert: program – 2 x 40 min., break – 20 min. he length and the program of the concert, as well as the number of players can be agreed upon individually. It is also possible arrange a joint performance with other components of the Ensemble TECHNIK, the choir and/or folklore ensemble. If you are interested in the CD, please contact us at: orchester.technik@stuba.sk. Price: 7 € + postal charges.. 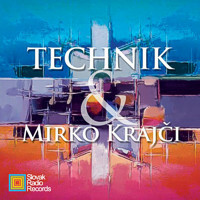 In 2010, TECHNIK Chamber Orchestra released a CD dedicated to the works of its conductor and artistic manager MIRKO KRAJČI. If you are interested in the CD, please contact us at: orchester.technik@stuba.sk. Price: 7 € + postal charges. The CD is also available at Slovak Radio Records. Samples of this CD was used in the interview with Mirko Krajči and orchestra members for Slovak Radio. 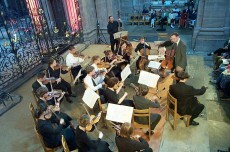 In 1999, TECHNIK chamber orchestra recorded its first CD. It contains an orchestral piece by JOSEF SUK – Meditation on the Old Czech Chorale “St. Wenceslas” op. 35, performed by TECHNIK chamber orchestra, and a piece by Giovanni Battista PERGOLESI – Stabat Mater, performed by TECHNIK Chamber orchestra and TECHNIK female choir. The CD was presented on December 6, 2000 in the concert hall of the Bratislava Castle, on the occasion of the 35. anniversary of TECHNIK chamber orchestra, and awarded the “Honor of the General Director of the National Centre for Culture and Education for years of outstanding activity and promotion of the Slovak concert art home and abroad”. Niekoľkokrát ročne vás e-mailom pozveme na naše nové koncerty. Podporte financovanie potrieb pre hudobné nástroje, propagačných materiálov a častejších koncertov - venujte svoje 2 % z dane Techniku. ĎAKUJEME! Súčasťou koncertu v júni 2017 bol krst nášho nového CD "Fragmenty" s vybranými časťami z desiatky najhranejších skladieb uplynulých rokov. V prípade záujmu o zakúpenie CD nás kontaktujte. Aj v roku 2017 sme sa z festivalu Divertimento Musicale vrátili až s trojicou hlavných cien - ako víťazi kategórie Komorné orchestre dospelých (zlaté pásmo), s cenou Národného osvetového centra za interpretačný výkon a k tomu s najvyšším ocenením Laureát súťaže. Spustili sme aj vlastný kanál na YouTube a ak chcete informácie o našich nových videách a máte Google účet (alebo YouTube účet), kliknite na našej YouTube stránke aj na červené tlačidlo "Prihlásiť sa na odber". YouTube vás o novom pridanom videu upozorní na hlavnej stránke, v sekcii Odbery, prípadne aj e-mailom. Dostali sme sa do hlavných správ RTVS! V sobotu 5.12.2015 odvysielala RTVS v hlavných večerných správach reportážny príspevok k 50. výročiu založenia nášho orchestra. Pozrieť si ju môžete na našom YouTube (samostatne) alebo v TV archíve RTVS (od 41. minúty). Hráš na sláčikový hudobný nástroj a máš chuť si zahrať v orchestri? Príď medzi nás a zaži s nami množstvo zábavy! Členstvo nie je podmienené vekom, školou, ani profesiou. Príď sa pozrieť na ktorýkoľvek nácvik a najlepšie aj s nástrojom.